Zander spoke with NBC 7 Monday (right) and shared a photo of the injuries he says he suffered in the beating. A San Diego man who was brutally beaten before a concert in Chula Vista last year is suing Live Nation Entertainment, Inc. and Staff Pro, Inc. claiming they failed to provide adequate security at the event. 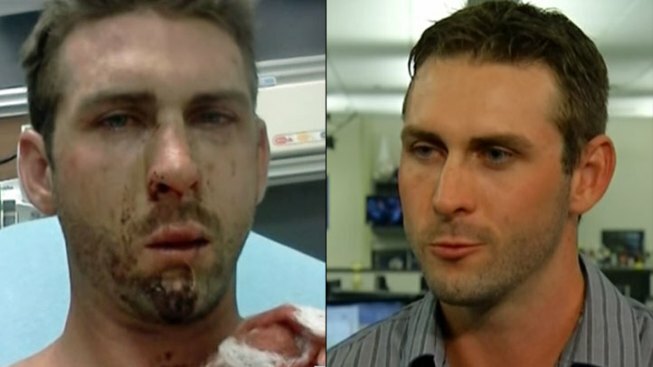 Zachary Zander was beaten at a Jason Aldean concert in the parking lot of the Cricket Wireless Amphitheatre (now Sleep Train Amphitheatre) in September 2012. The 25-year-old spoke about the attack for the first time Monday in an exclusive interview. Zander filed the civil lawsuit as prosecutors are seeking criminal charges against U.S. Marine Sgt. Raymond Sharkey, 27, who’s accused in the beating. The Camp Pendleton-based Marine pleaded not guilty in court on May 17. 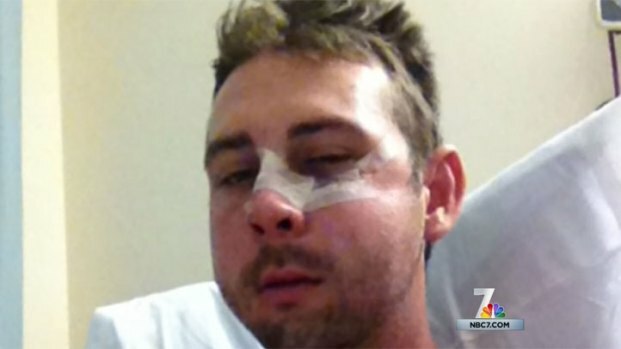 Zach Zander filed a lawsuit Monday against the concert organizers and their security after he was beaten at a performance by country music artist Jason Aldean in October 2012. NBC 7's Nicole Gonzales reports. Zander was standing up for a group of girls who were being verbally abused when he says a group of men attacked him. He remembers being beaten before the concert, lying on the ground and focusing on just staying alive. “You go into survival mode when you experience something like that,” he said. Zac Zander told police he was assaulted before a Jason Aldean concert at Cricket Wireless last weekend. 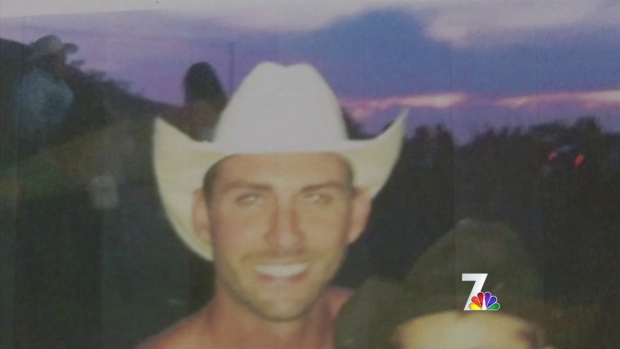 NBC 7 reporter Chris Chan spoke to Zac's family about the attack and who might be responsible. He said images of his injuries after the attack are difficult to see. “I don’t…. I don’t look at them. I have one picture of me in the ambulance because I couldn’t feel my face and there was no mirror. I didn’t know what was still there and what wasn’t,” Zander said. He suffered several broken bones in his face and needed reconstructive surgery. “Upwards of 20-something screws in my face, with a few plates, bone graft, multiple fractures,” he explained. Nine months later, Zander still can’t feel parts of his face. Gordon & Holmes law firm is representing Zander, and called the concert an “alcohol-fueled festival.” Zander is seeking damages for bodily injury and emotional distress from concert venues owners Live Nation and Staff Pro. Live Nation is a ticketing company that operates Sleep Train Amphitheatre and Staff Pro is a Southern California-based staffing agency that provides security for large events. “Had Live Nation and Staff Pro adequately protected Amphitheatre patrons and guests from alcohol fueled, third party violence, Mr. Zander would have been saved from suffering these dreadful injuries,” stated attorney Rhonda J. Holmes. Calls to Staff Pro and Live Nation for comment were not immediately returned. Zander said he'll never visit the concert venue again. "There needs to be a change down there especially at a venue that promotes this as a family event," he said.